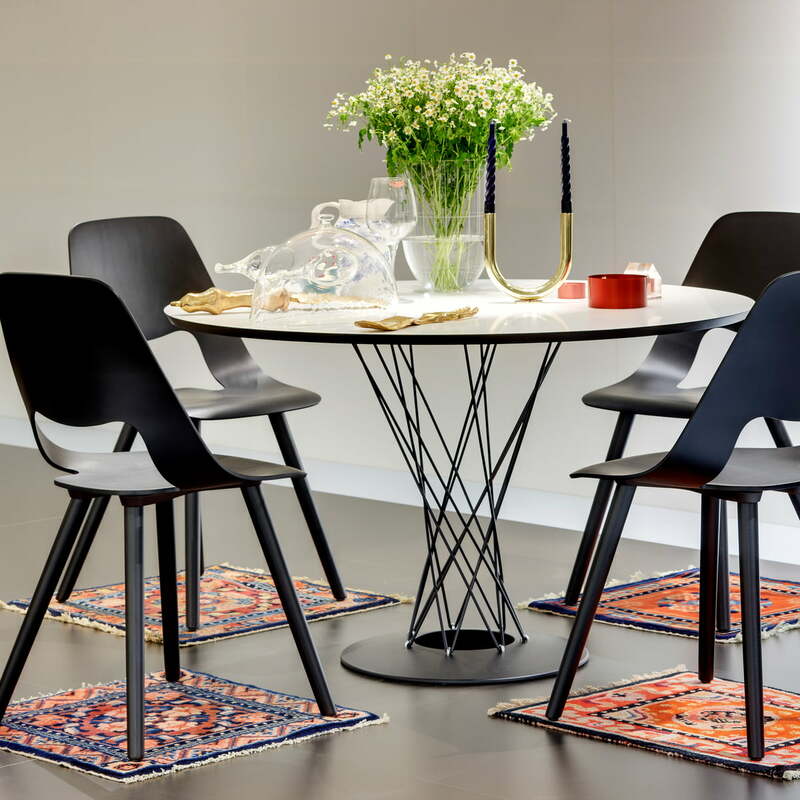 The dining table by Isamu Noguchivon for Vitra belongs to the design classics of the 20th century. Originally designed in 1954, the table still impresses with its elegant, sculptural form. The robust tabletop out of hard surface plywood is supported by interwoven bars, which act as the table’s legs. This creates a characteristic appearance and makes the table incredibly unique. Together with the bars, a sturdy cast iron ring that serves as the base produces a light and unobtrusive expression. 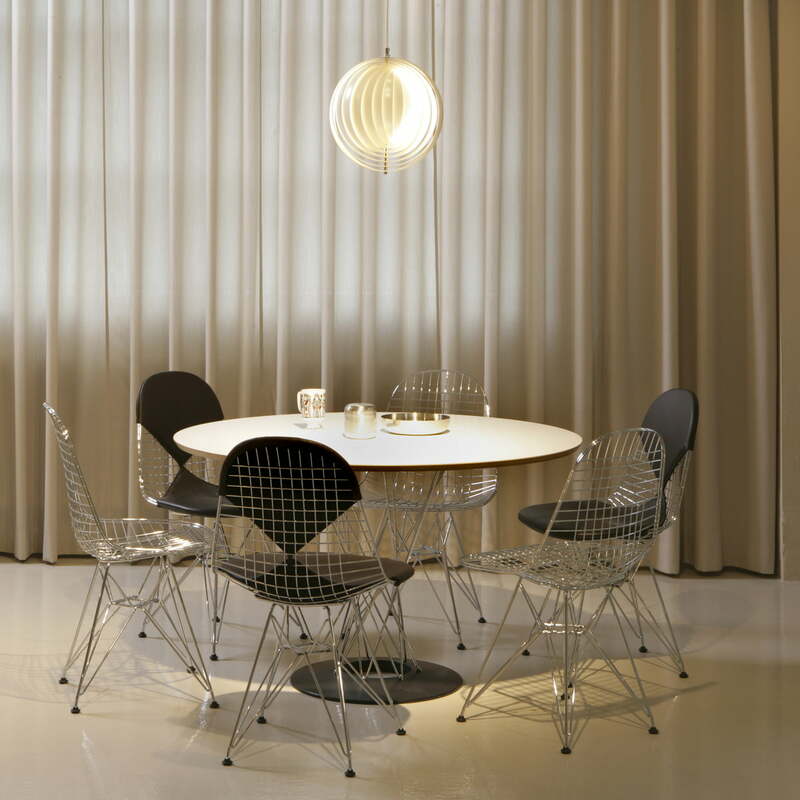 With a diameter of 121 cm, the table offers enough place to seat up to 4 people. Its aesthetic look fits perfectly into the kitchen or the living room. Material Tabletop: Plywood with hard surface, black stained edges. Base: Cast iron lacquered black, chrome-plated steel wire. 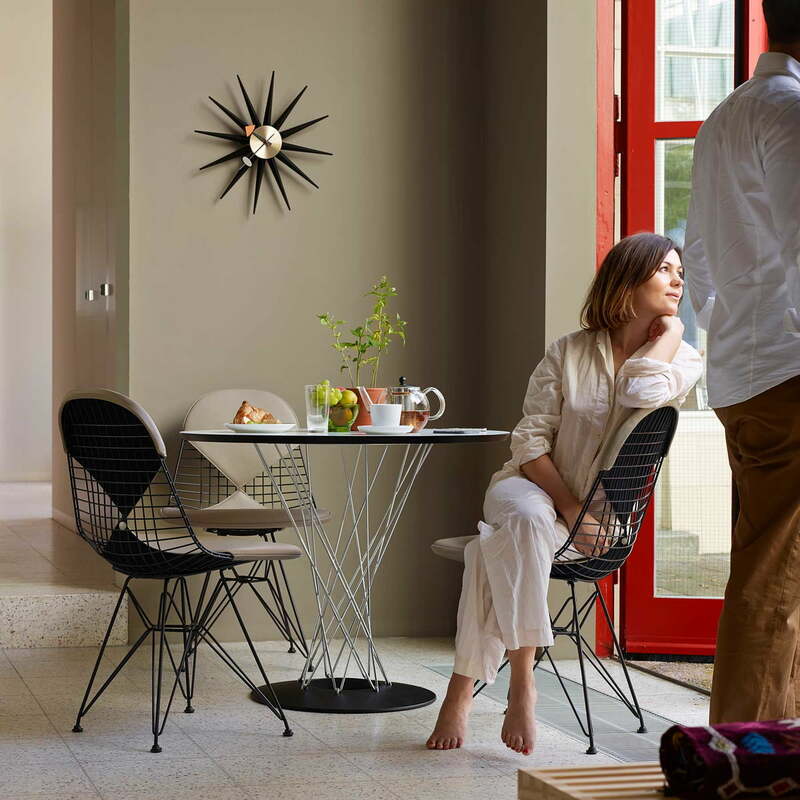 Lifestyle product image of the Vitra - Dining Table by Isamu Noguchi. Up to 4 people can be seated at the table, making it ideal to enjoy breakfast or dinner together. 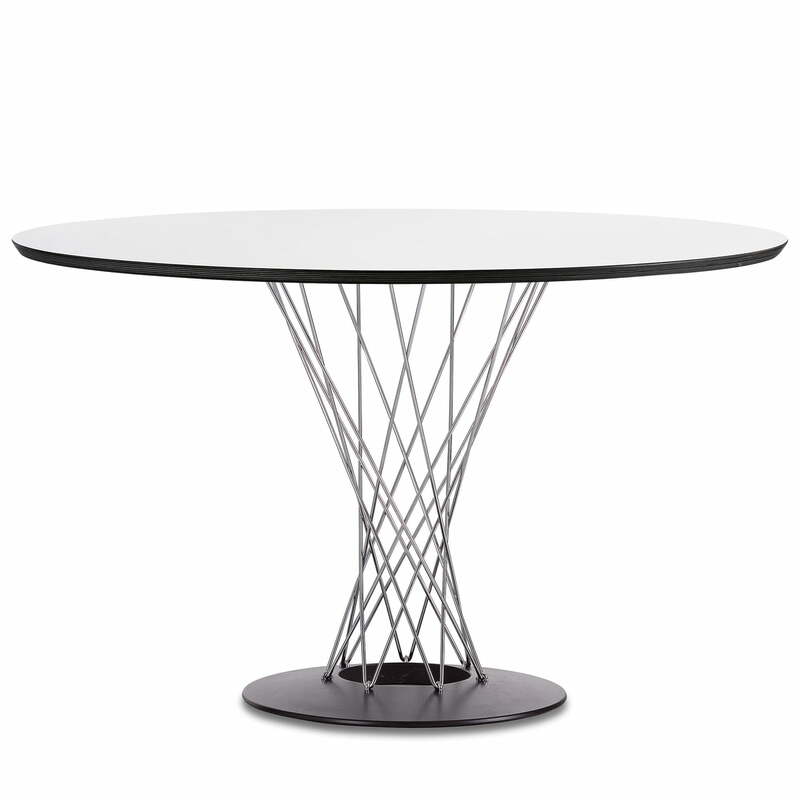 Lifestyle product image of the Vitra - Dining Table by Isamu Noguchi. The table is available as part of a limited edition, which is limited to 200 copies.